UTS Backstage presents the Australian premiere of ‘The Frogs’, a musical adapted by Steven Sondheim and Burt Shevelove, based on the play be Aristophanes. The musical follows Dionysus on his way into Hades to bring his literary idol, George Bernard Shaw, back from the dead. Backstage’s performance of this musical had great production value and was presented as a cohesive team effort. As a comedy, this play had both a light and dark side. The dynamic cast was entertaining in their quick repartee and comic timing. Their slapstick humour helped create a vibrant atmosphere and as a Sondheim the dialogue was heavy with wit and the lyrics were pregnant with meaning. The second half of the show saw the musical come to a crescendo in a heated debate between George Bernard Shaw and Shakespeare, with the God of Drama and Wine, Dionysus, moderating. For me, the building of tension, the sharp dialogue and the commitment of the lead cast made this scene the highlight of the performance. The energetic cast gave relevance to Aristophanes’ classic Greek play, creating a social commentary that criticises modern apathy and slacktivism. Commendations to the set design (set designer, Emily Burke), for being innovative with their use of space of the Monkey Baa, Darling Harbour. As an epic Greek quest, there were many costume and set changes that were central to the plot, and these were achieved by sourcing props, for example Charon’s boat (through the Styx) from Opera Australia. Their attention to detail added to the atmosphere as well, for instance the shining of a light through a clear bucket of water created a more realistic sense of travelling down the river to Hades. Further credits go to Chris McKay as this was his first musical as Director, and his team. The dance numbers and sneaky acrobatic sequences, choreographed by Emily Newberry, were well placed and provided a visual break from the gag-laden dialogue. As with any live performance, there can be technical issues on the night in terms of audio balancing. However, I was impressed by the cast’s excellent resilience as they acted professionally and without distraction. Commendations to the actors for performing with integrity and dignity- chorus and leads respectively. Backstage’s production of ‘The Frogs’ is an entertaining night out and a great achievement, really capturing the satirical nature of Sondheim’s adaptation of a Greek classic. I don’t know about the lasting effects of a ‘cross-class’ skill, or the difference between a ‘figment subschool’ and a ‘phantasm subschool’. 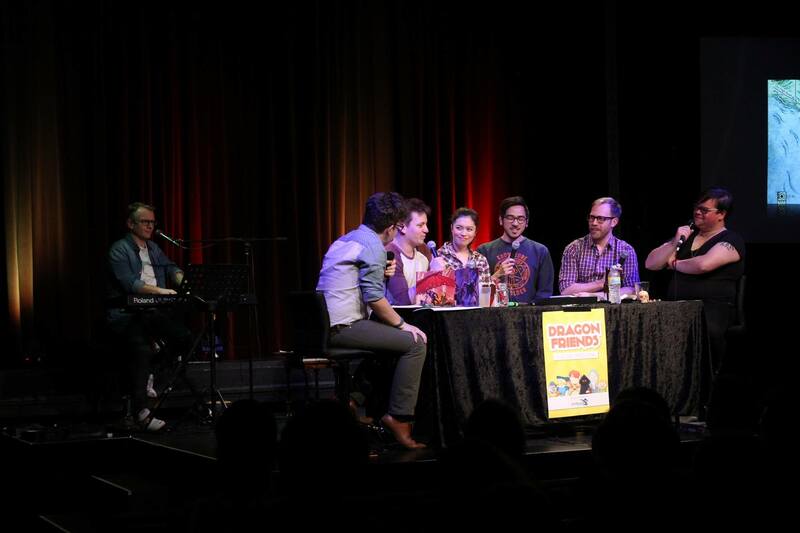 I don’t know a lot about Dungeons and Dragons (D&D) and entering the theatre space knowing that I was probably outnumbered by people with more weapon points, profane bonuses and tickets to the portal domain, was a little daunting. I shouldn’t have been worried at all, however. 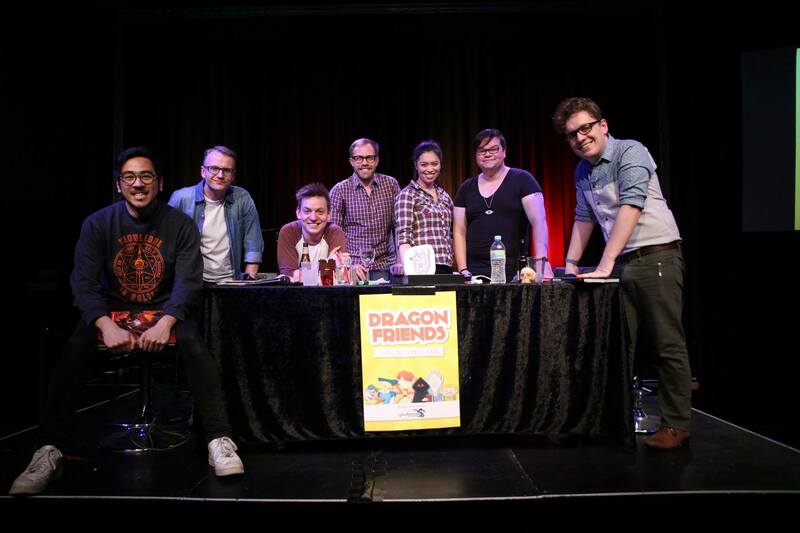 My partner- an experienced D&D player- and I both had an excellent night catching ‘Dragon Friends: 2’ at the Giant Dwarf Theatre in Redfern. 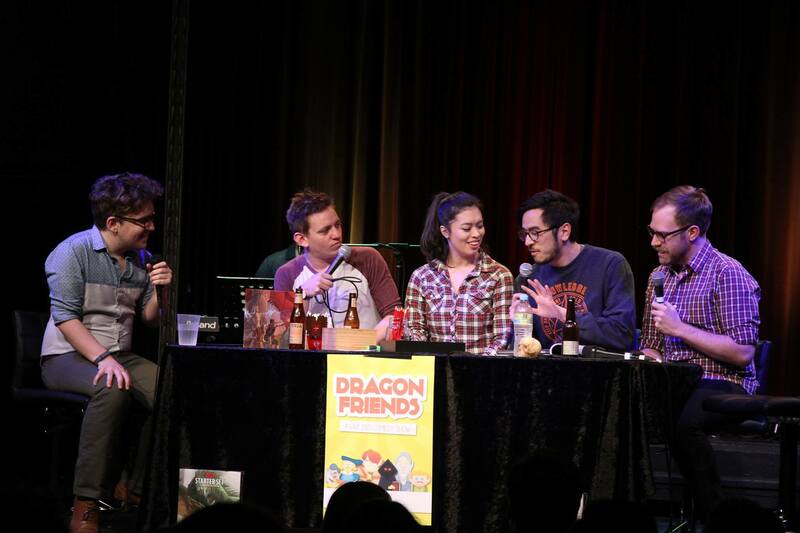 Dungeons and Dragons has provided forty years of adventure for those of us who found refuge in fantasy realms and imagined agricultural communities. It’s a game of strategy where individuals roleplay characters with specific skillsets, in order to navigate the world of the story. More than that, it’s one of a few games where players aren’t necessarily set up to compete each other, rather they are united in traversing the unknown together. What makes this choose-your-own-adventure style game unique is that the direction of the story is entirely dependant on the choices made by the players, while the roll of a die leaves the effectiveness of their decisions up to chance. Any game played by a novice can be entertaining in and of itself. Add some of Australia’s comedic talent to the mix, and you’ve got yourself a night of hilarious chaos. 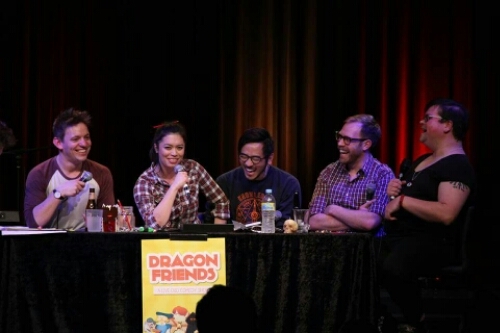 Dragon Friends is a monthly event that sees Alex Lee (Buzzfeed Australia), Simon Greiner (National Theatresports champion), Michael Hing (Good Game TV) and Ben Jenkins (Story Club and the ABC’s Checkout) rely on their improvisation skills to survive. 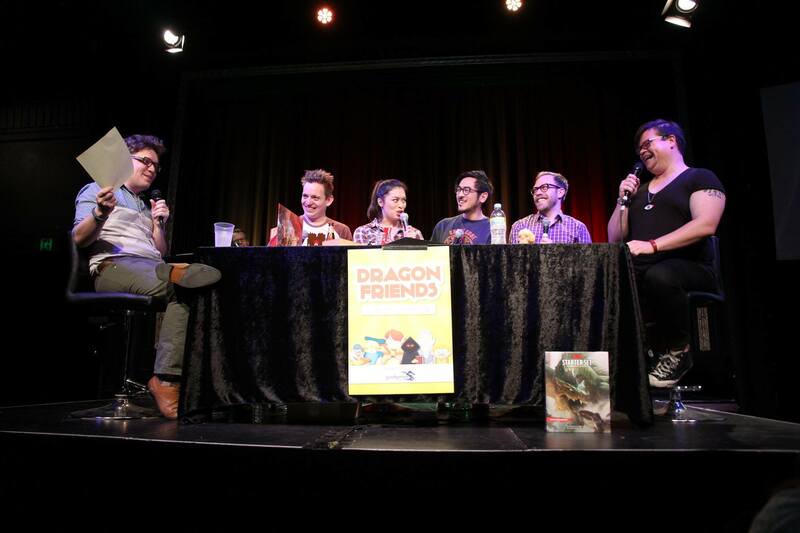 Watched by Dungeon Master and brainchild, Dave Harmon, the story is supported by the Bard, Benny Davis and special guest adventurer, Jordan Raskopoulos (both from the Axis of Awesome). As a monthly adventure, I came into the second stage of the campaign, yet this was no problem as I was quickly caught up to speed and introduced to all the characters. Even though this was my first journey into the Dungeons and Dragons world, I felt very welcomed and not lacking at all. The comedians created mayhem with hyperbolic reactions to set challenges, and being first-timers themselves, paused to question the rules and explain things as they went along. I assumed this would be rather tedious to experienced D&D players in the audience. Apparently not so; my partner acknowledged that there was a bit of loose slippage with the strict rules of the game, but the ridiculous scenarios really lifted the experience. I was quite impressed to realise that this show managed to cater to those who had either a lot or no experience whatsoever. As a production, it’s very difficult to appeal to everyone and I commend them for that. Being a part of the journey as it unfolded, being privvy to the side jokes and tangents, sitting in an audience that buzzed with excitement- all these elements added to a night that was electric. The players were like live wires on stage and only the inherent structure and rules of the game kept them on track and gave the night a purpose. The production was supported with live ambience, with Benny Davis as the Bard on keyboard- creating atmosphere and helping us imagine the storyrealm. Each performance is recorded live and released online as a podcast, so that anyone can follow the campaign. I genuinely had a good time and I’m looking forward to the next stage of the Campaign, coming up on the 31st of August 2015.